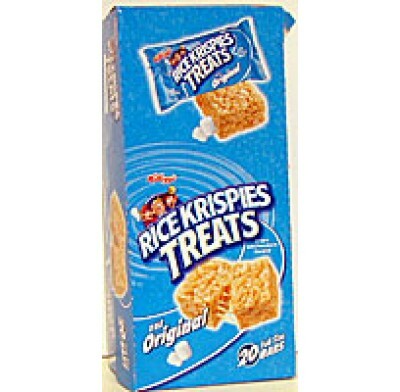 Rice Krispies Treats from Kellogg's, the classic healthy and delicious snack that parents love as much as their children. These bars are individually wrapped and make the perfect lunchbox treat. There are 20 treats per box.